First- it’s great to be back in the reviewing saddle again. After two and a half months, Gail is doing much better despite back surgery, broken ankle, another back fracture and now impending cataract surgery. The thing we must remember is that it is all temporary and she’ll be back at full strength very soon. So, despite missing most of the summer season (all of the Muny, most of Opera Theatre, the LaBute Festival and many, many other wonderful productions on St. Louis stages), I have returned to the job I love- watching theatre and then talking about it. 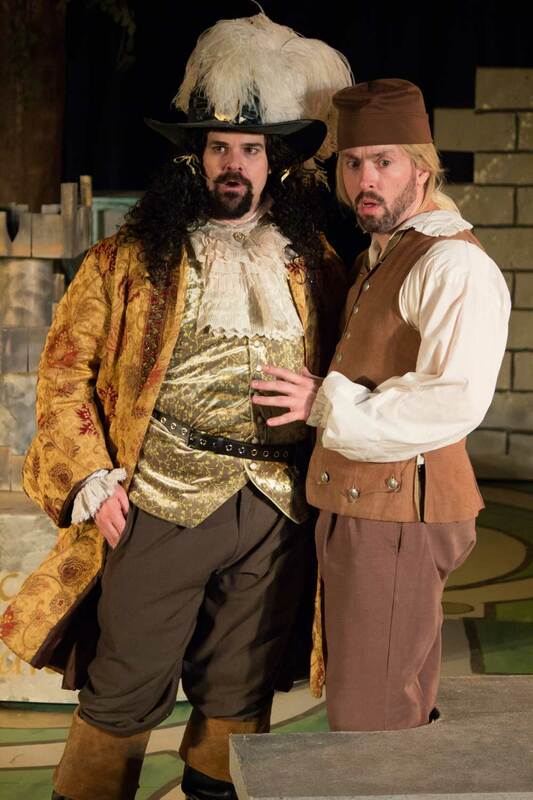 And speaking of that, St. Louis Shakespeare Company has brought us a doozie with David Ives’ “The Liar.” Adapted from 17th century French playwright Pierre Corneille’s play, it offers a lot of laughs and the usual amount of mistaken identities, outlandish characters and even some inappropriate yet somehow plausible anachronisms. The always precise Suki Peters has directed with an eye for detail, comedic savvy and keeping the action moving- which includes adding two young ladies dressed according to the period who help move things off, on and around in a timely fashion. The title character, Dorante, is played with swagger and verve by Jared Sanz Agero. His philosophy appears to be “why tell the truth when a good lie works just as well.” Early in the play he acquires a manservant who is his extreme opposite, Cliton. Played with scrupulous honesty and charm by Ben Ritchie, Cliton tries his best to keep calm amid all the chaos. He even attempts to get lessons from Dorante in the art of lying with little success. John Foughty, with a bad hair day all around- head and chin- turns in a great performance as the possibly cuckolded Aclippe. He and his pal, Philiste- played with proper foppishness by John Wolbers, try to keep ahead of the silver tongues Dorante but to no avail. Also providing a bounty of laughs is the clueless father of Dorante, Geronte, given an equally befuddled performance by Robert Ashton. Even in the light of obvious contradictory lies, he never sways from the path his son leads him down. Almost stealing the show are the ladies. 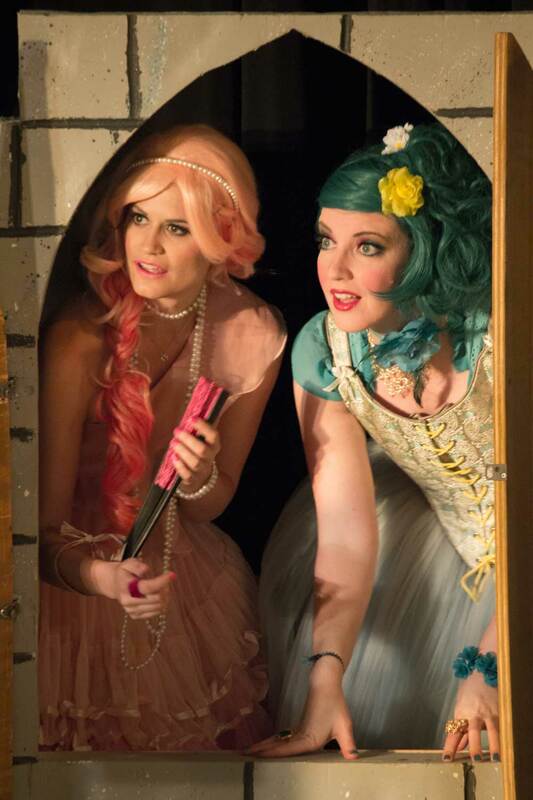 Nicole Angeli as the broad minded yet stubborn Clarice and Maggie Murphy as the smitten Lucrece. Though Clarice is the object of Dorante’s affection, he mistakes her for Lucrece- which leads to the mistaken identity plot that always spices up such follies. Rounding out the cast is the marvelous Jamie Pitt as the two servants of Clarice and Lucrece. With the addition of a coat, ruffle and two outlandish versions of the same red wig, she turns from flirtatious Isabelle to stern Sabine- often in a matter of seconds. The mix of appropriate and bizarre costumes that seem to fit the piece perfectly are the work of JC Krajicek. Michael Dombek’s set design works well as do the lights of Alex Pack. Jeff Roberts’ sound design is wild and nothing probably heard during the days of Pierre Corneille (chamber music, no doubt). Catch this delightful comedy through August 24th at The Music Center in University City. 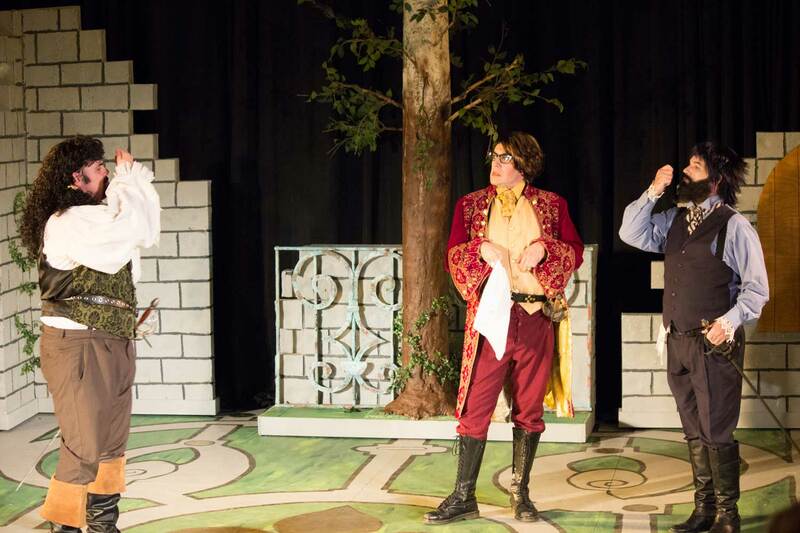 St. Louis Shakespeare Company presents “The Liar” by David Ives. Give them a call at 314-361-5664 or contact stlshakespeare.org for tickets or more information. This entry was posted on August 19, 2014 at 9:43 pm08 and is filed under Uncategorized. You can follow any responses to this entry through the RSS 2.0 feed. You can leave a response, or trackback from your own site.